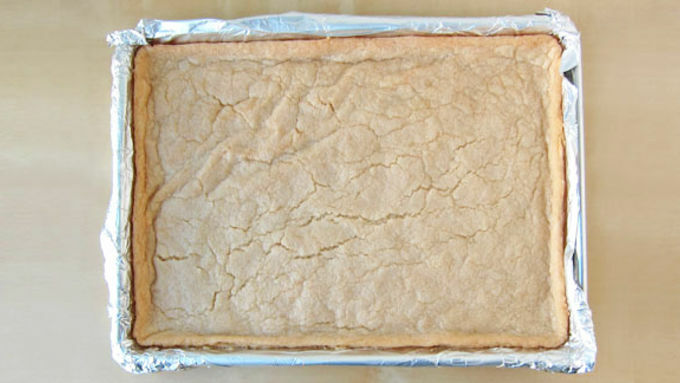 Follow package instructions to bake a tube of Pillsbury™ refrigerated sugar cookies in a 9×13-inch pan. Allow cookie to cool completely. Frost cookie with Betty Crocker™ Rich & Creamy chocolate frosting. Wearing food handling gloves, pinch off about 3 ounces (3 tablespoons) of white fondant or modeling chocolate. Add drops of red Betty Crocker™ Gel Food Coloring and knead it in, adding more coloring until you reach the desired shade of red. Repeat, coloring fondant or modeling chocolate orange, yellow, green, blue and purple. Cut a gallon size zip top bag along two sides. Lay it open on your work surface. 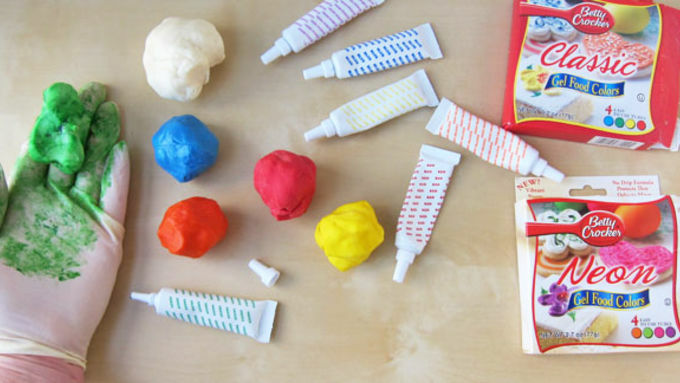 Pinch off 1 tablespoon of each color fondant. Roll into a long thin log. Press together a yellow, orange and red log. Twist a few times then set it on one side of the opened zip top bag. Do the same with some green, blue and purple. Set this log up against the first one. Repeat, creating a total of 6 twisted logs. 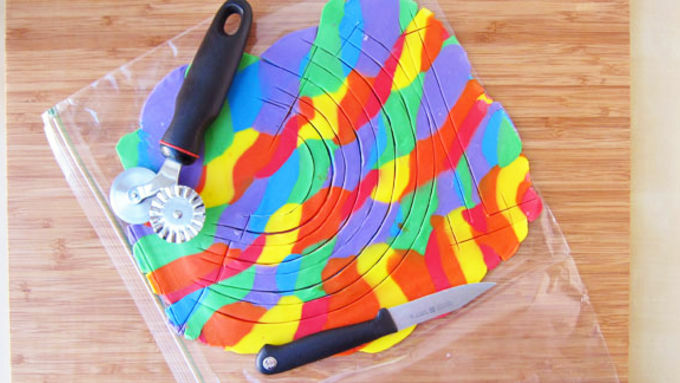 Press down on the twisted rolls, pinching them together as needed, until you have a nice flat piece of colorful fondant. 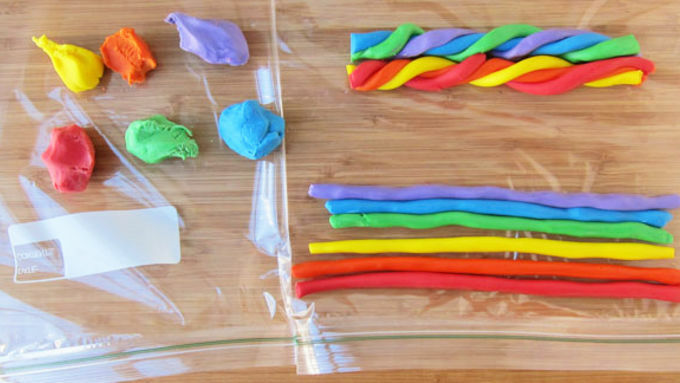 Fold over the plastic zip top bag, setting it on top of the fondant. 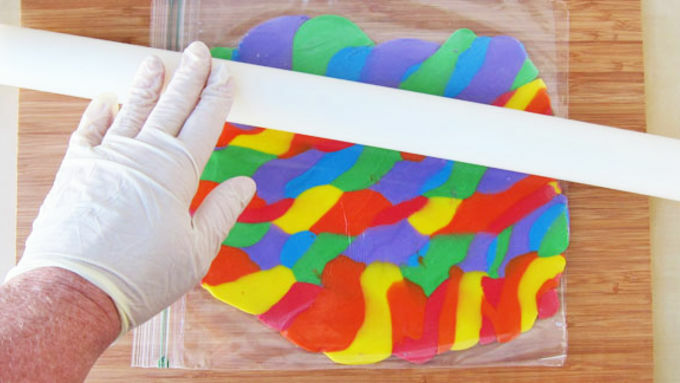 Use a rolling pin to further flatten out the rainbow of fondant. Roll it out to about 1/8th inch thickness. Allow to sit for 5 minutes, then peel off the top of the bag. Use a pizza wheel and knife to cut out the pieces of the menorah. You will need one long post and stand, 4 curved branches, and 9 flames. Allow the menorah pieces to dry for at least 30 minutes, so you can pick them up without breaking. This may take longer if your fondant is softer and your room is warm. 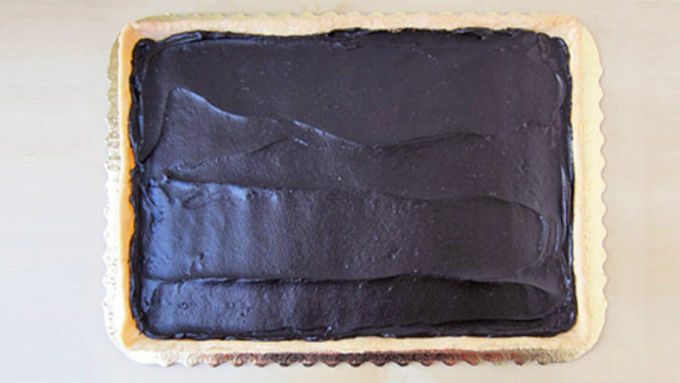 You can refrigerate the pieces for up to 30 minutes to speed up the process. 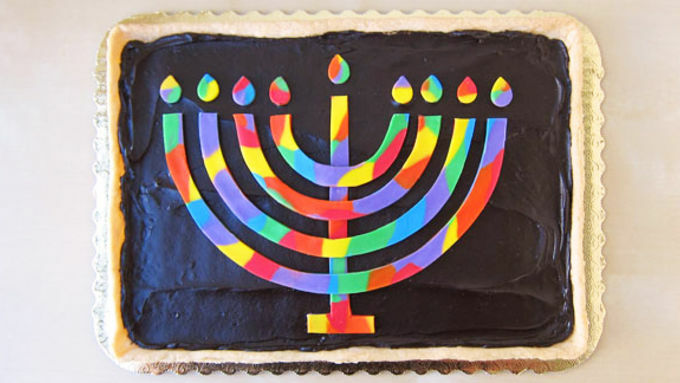 Arrange the fondant menorah on your frosted cookie. Store at room temperature for up to two days. 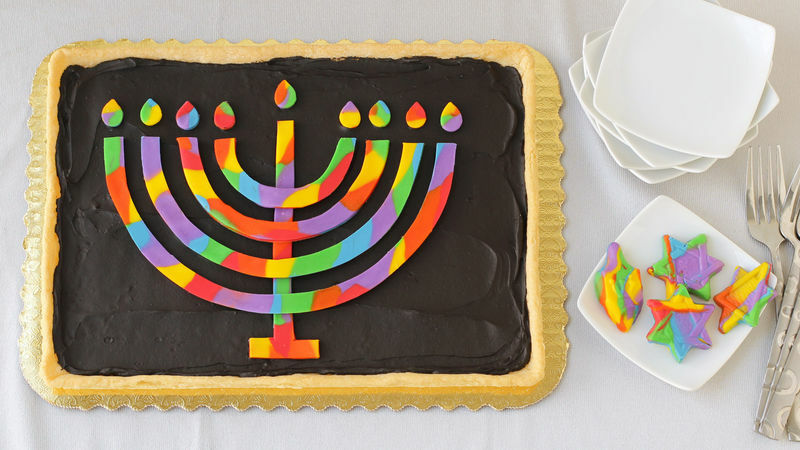 Light up your Hanukkah dinner table with a rainbow menorah-topped cookie. This Pillsbury Sugar Cookie is frosted with creamy Betty Crocker frosting and decorated with colorful fondant or modeling chocolate. The simple shapes of the menorah are easy to cut out of fondant, and come together to create a beautiful symbol of the holiday season. Serve and enjoy! You can store it at room temperature for up to two days. Happy Hanukkah!